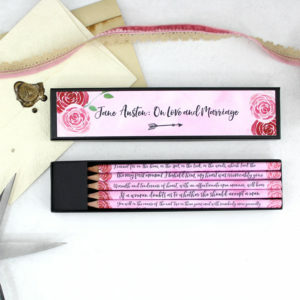 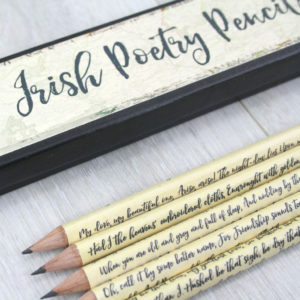 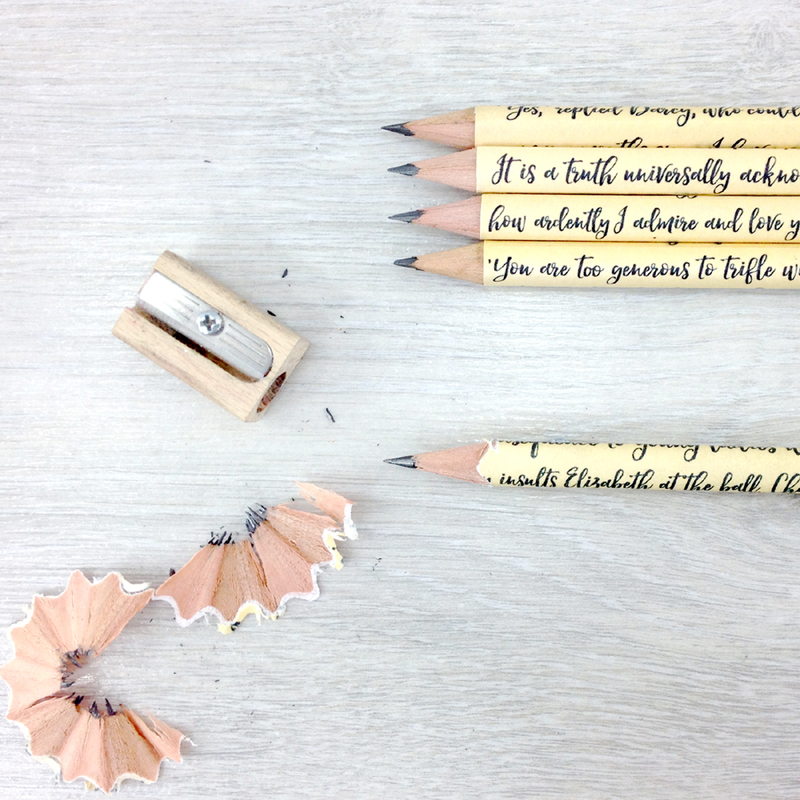 This set of five quote pencils from Jane Austen’s novel is the perfect Pride and Prejudice gift for fans of Jane Austen’s work. 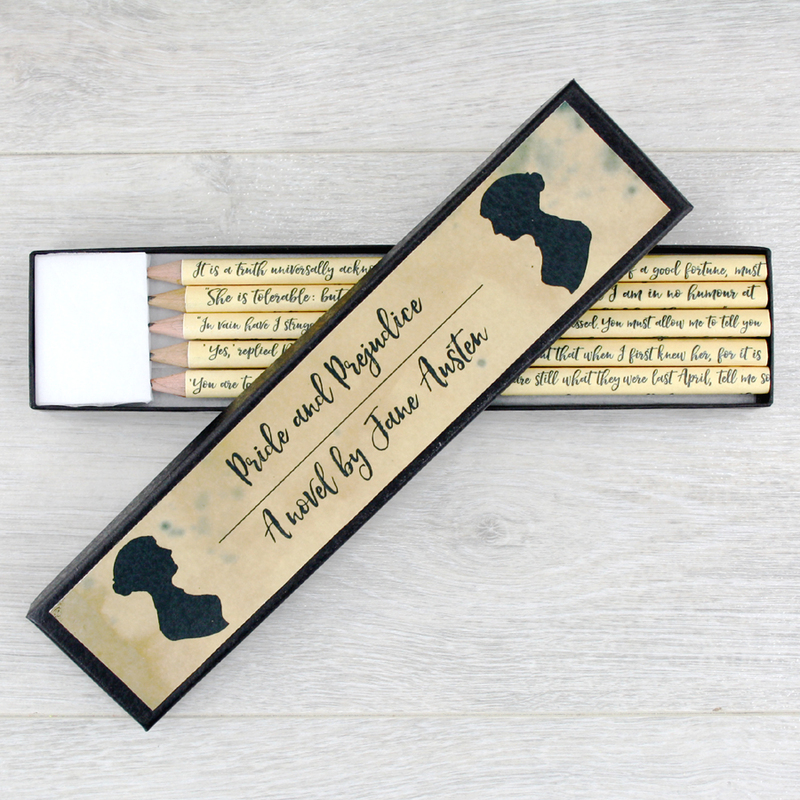 Follow the story of two of the literary worlds most famous couples, Mr Darcy and Elizabeth Bennet. 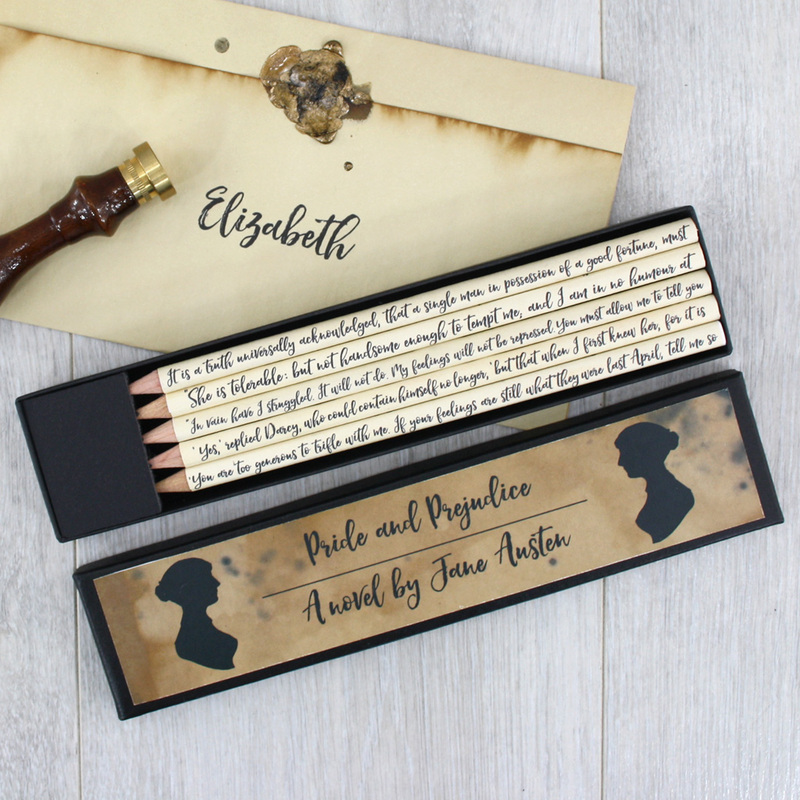 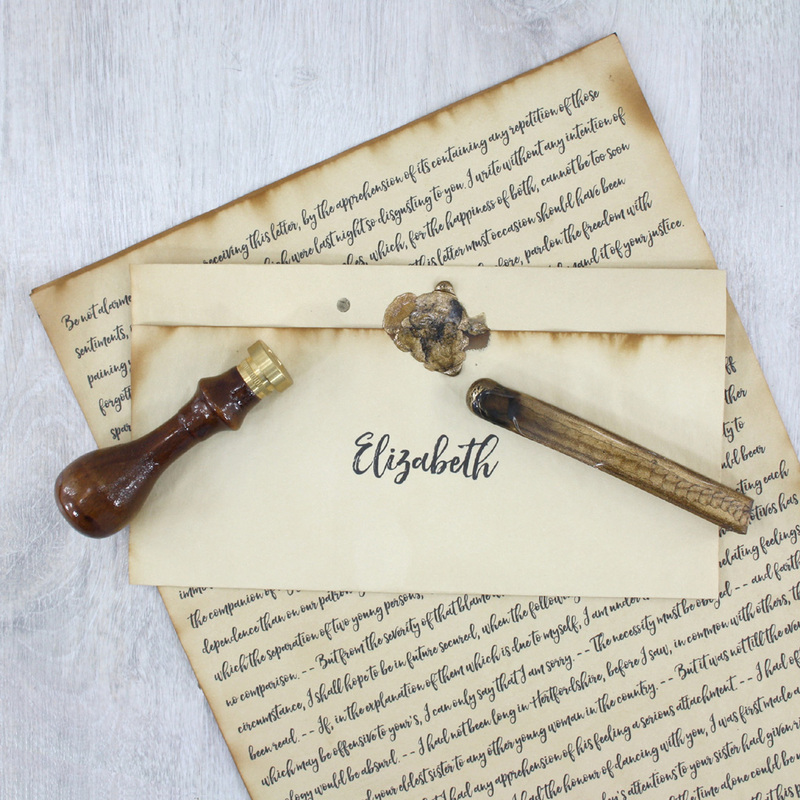 Read sections of Darcy and Elizabeth’s love story on each pencil. 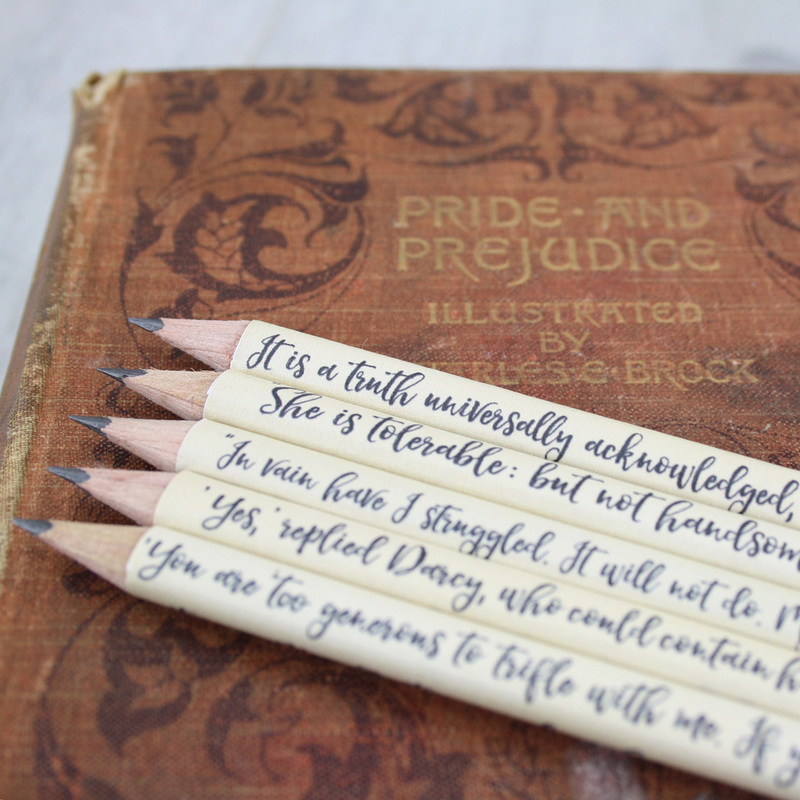 I have taken the most famous quotes and most memorable scenes from the novel and put them onto the pencils. 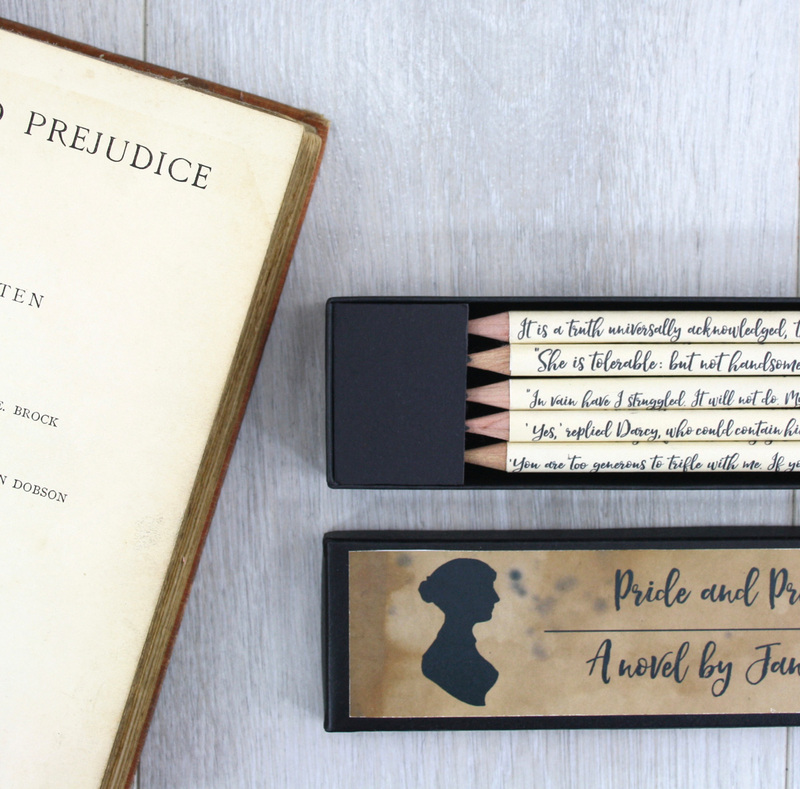 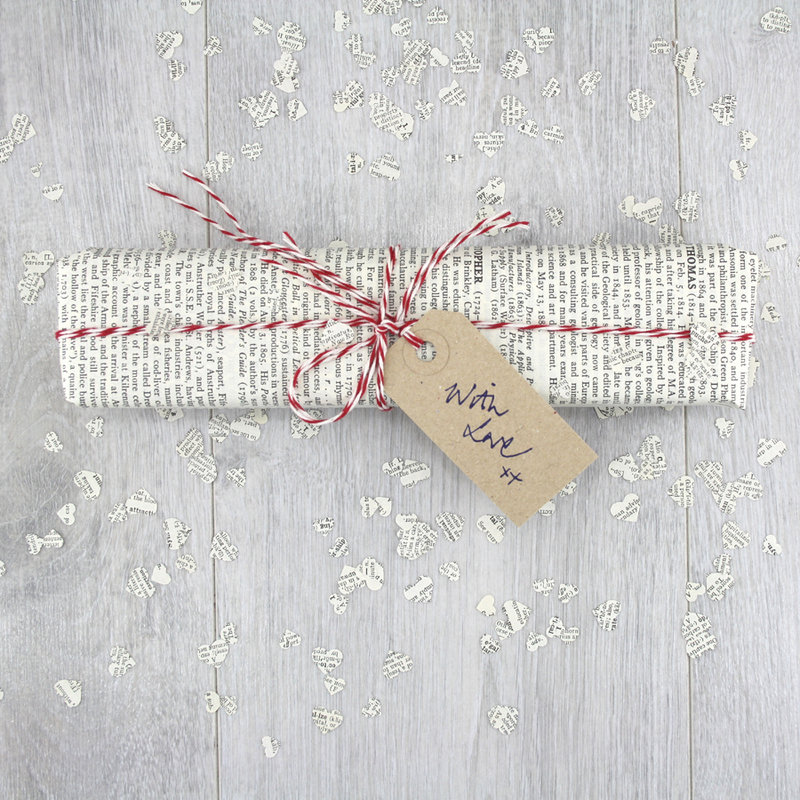 The perfect Pride and Prejudice gift for your best friend. 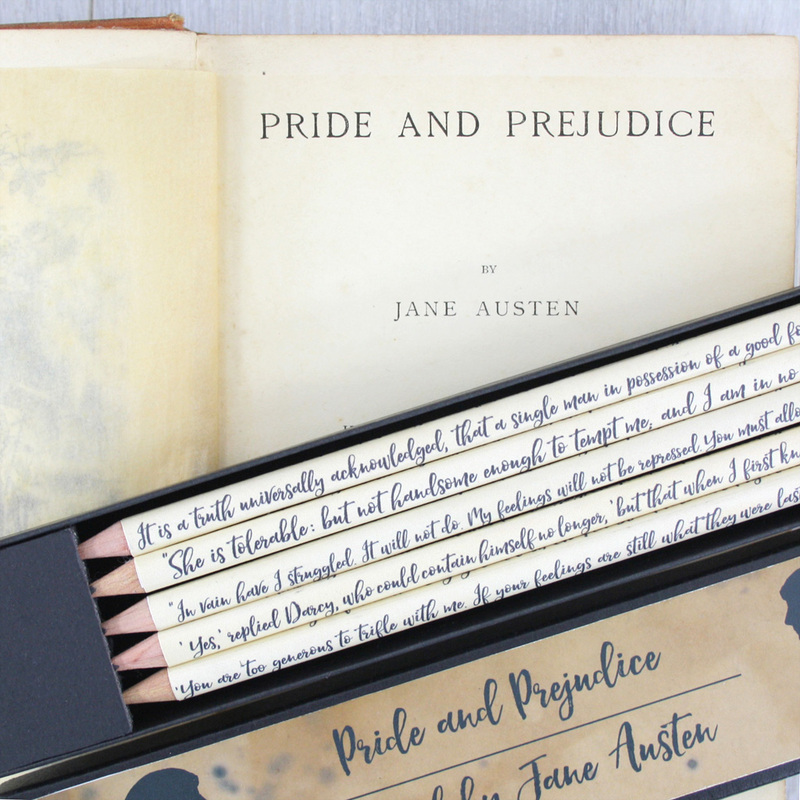 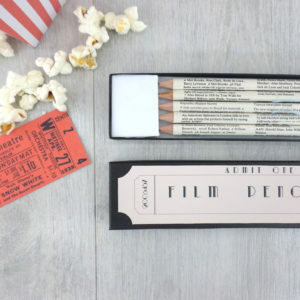 The pencil set will be treasured by book lovers and used daily. 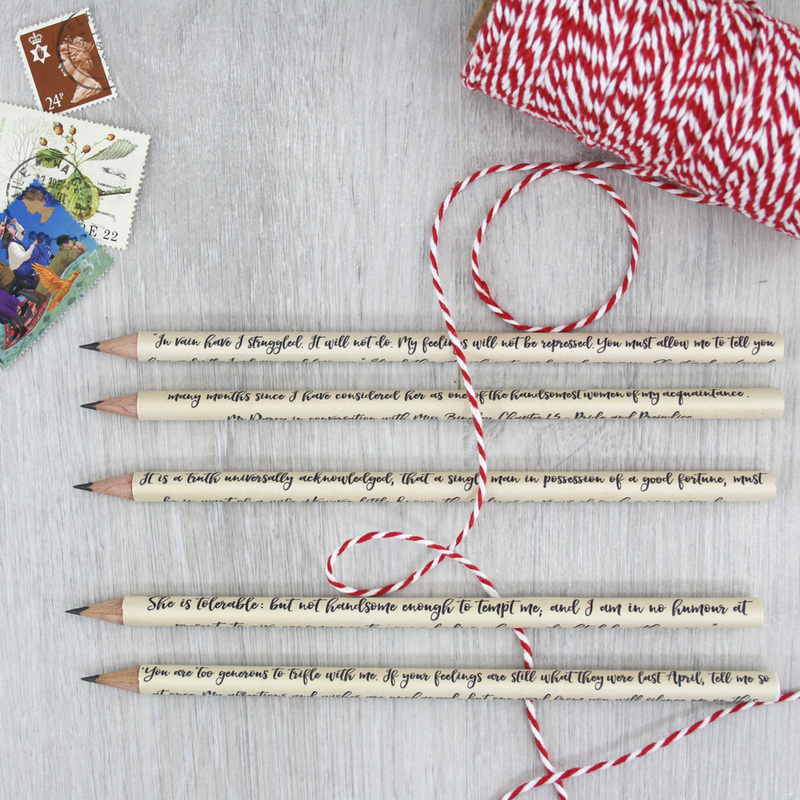 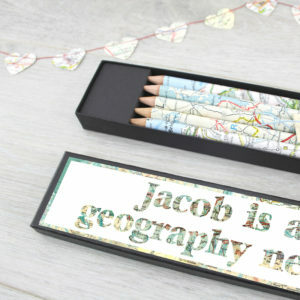 To write to do lists or love notes, made from high quality timber these HB pencils will last you a long time. 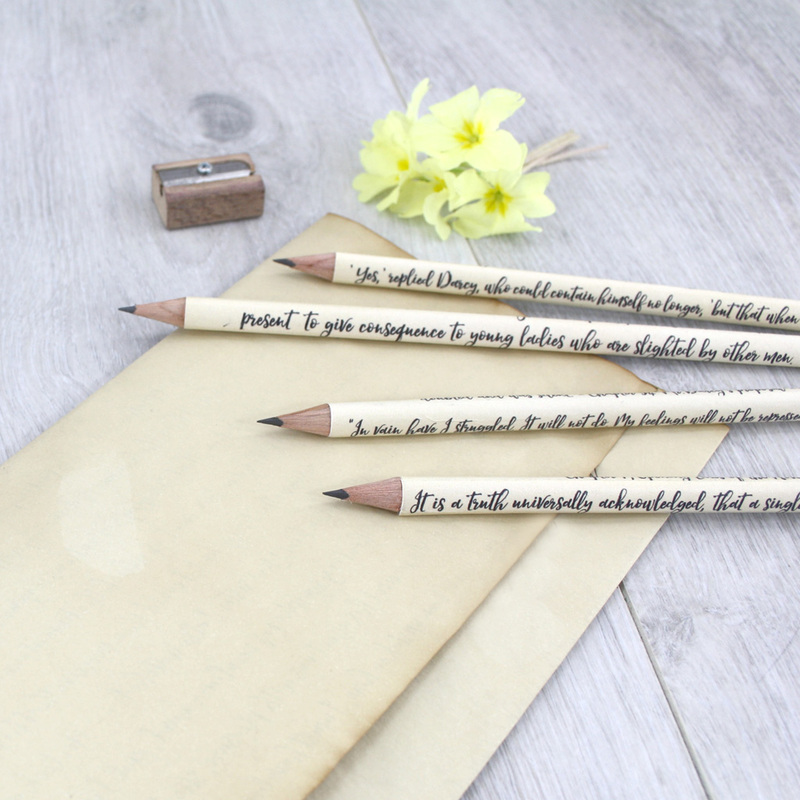 ‘My affections and wishes are unchanged‘.